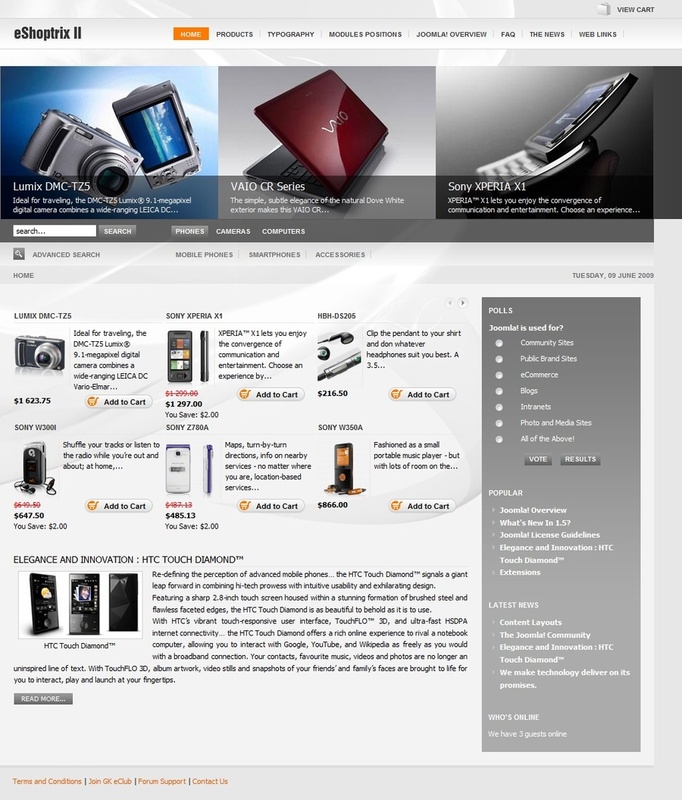 GK eShoptrix 2 - functional template from a professional team of developers GavickPro. Gorgeous layout design is available in several color themes, there is a convenient built-in template manager configuration management and flexible modular design. The structure of the template consists of the best club expansion studio providing additional template functions. Proprietary platform Gavern Framework gives particular pattern optimization, support for all browsers and all mobile devices.